BLACK PIRATE EA uses no grid, no martingale, no arbitrage, no hedges, no tick scalping, and the best part is running fully automatic. The EA allows you to trade a fixed lot, as well as includes the money management unit for automatic lot calculation based on the preset risk per trade. Please use this EA on pairs with low spread and low stop level. 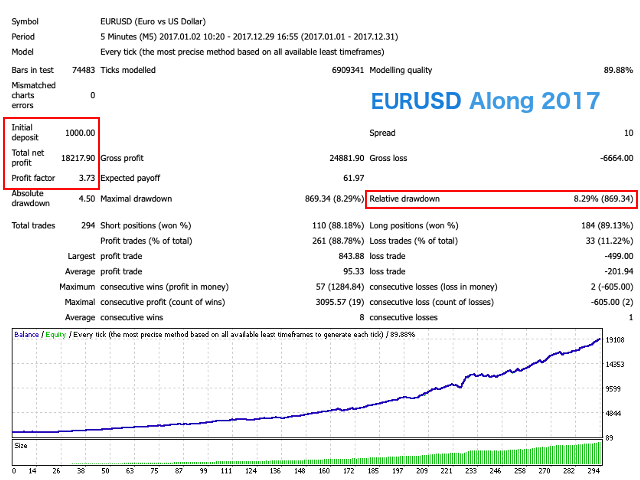 Best result using this EA are on GBPUSD, USDCAD and EURUSD pairs, and you can run on several instruments simultaneously. If you want to have only one pair triggered at a time, please use the same Magic Number for all pairs. VPS hosting 24/7 is strongly advised. MagicNumber = 8989 - used to identify an order. OrderCmt = blackpirate - comments on each trades. Stoploss = 10 - Stoploss size in pips. OCO = true - Feature to delete other pending order when order executed. TrailingStop = 2 - trailing stop size in pips. TrailingStart = 3 - Start for running trailing in pips. MaxSpread=2 - maximum spread accepted to trade in pips. Risk = 2.0 - risk value for trades. ManualLotsize = 0.01 - lot value used if MoneyManagement is false. UseNewsFilter=true - Using News to trades. ServerTimeZone=2 - Server Broker TimeZone. MinutesBeforeNews=2 - time in minutes before the news for the EA to trades.